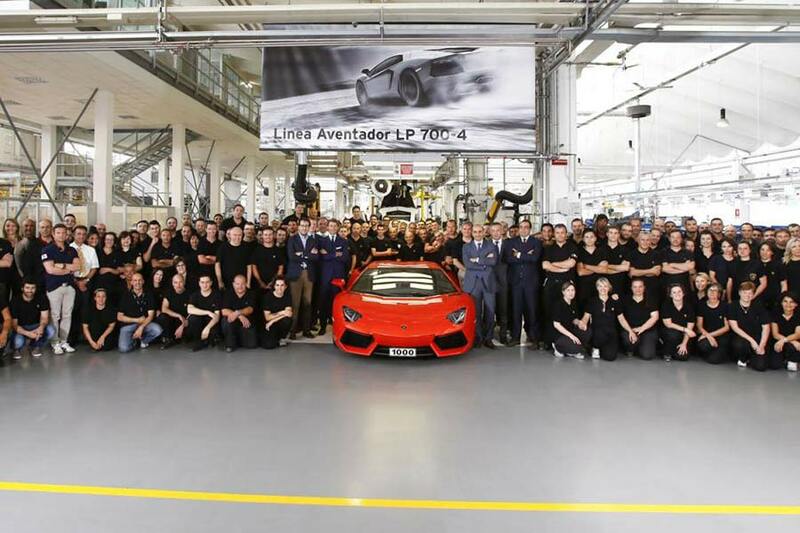 A milestone moment took place today at Lamborghini’s Sant’ Agata Bolognese factory when the 1,000th Aventador rolled off its production line. Lamborghini’s dashing President and CEO, Stephan Winkelmann, was in attendance to hand over the keys to this historic Argos Orange vehicle to its brand new owner, Bavarian architect Hans Scheidecker. 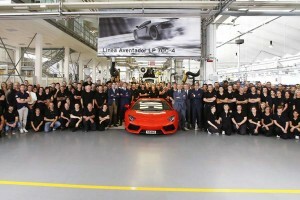 Initially constructing three units a day in Q3 2011, production has sped up to meet demand, with the Audi-owned company now building 4.5 a day, meaning the Aventador has reach this point almost twice as fast as its Murciélago counterpart did. Propelled by a 6.5-litre V12, which develops 515 kW (700 hp) and 690 Nm (510 lb/ft), the Aventador sprints to 100 km/h (0-62 mph) in a mere 2.9 seconds, and onto a top speed of 350 km/h (217 mph).